In the May 2015 issue of Southwest Manufacturing News, we proudly ran two ads to let the manufacturing industry further know of our services. Our big highlight focused on cloud data collection services for $45 per month, per machine. 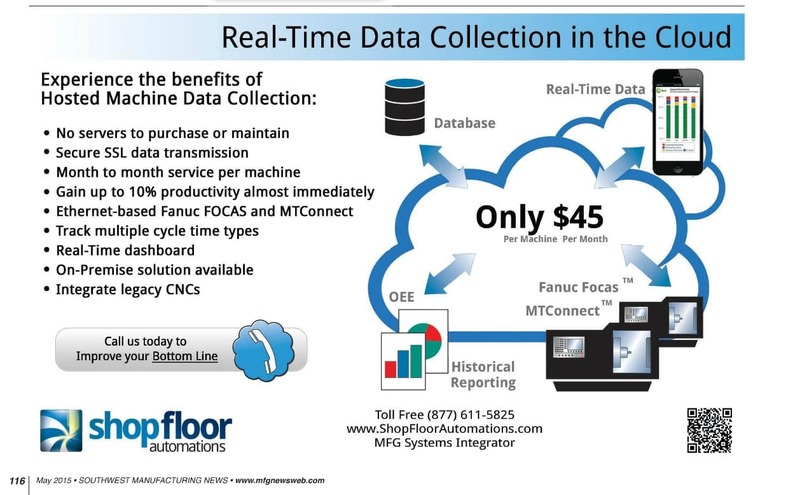 Scytec Hosted DataXchange through Shop Floor Automations means the client will not need servers, have access to a real-time dashboard, and many more benefits. Better yet – they will see up to 10 percent productivity on an immediate time frame!